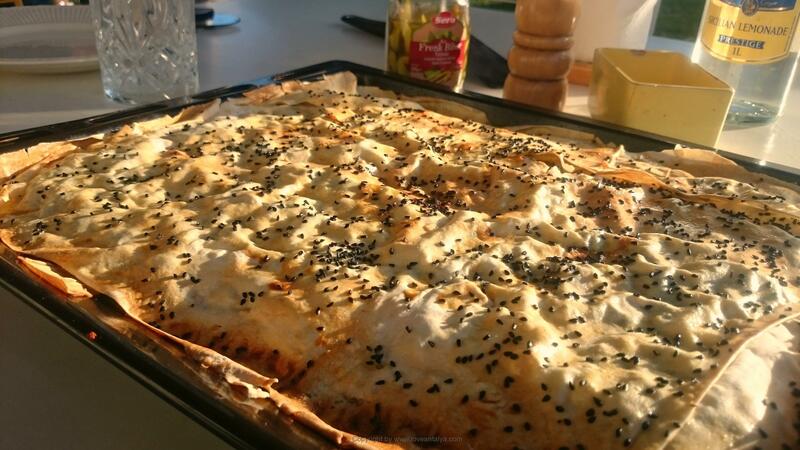 Börek is a truly Turkish dish and really delicious to eat. 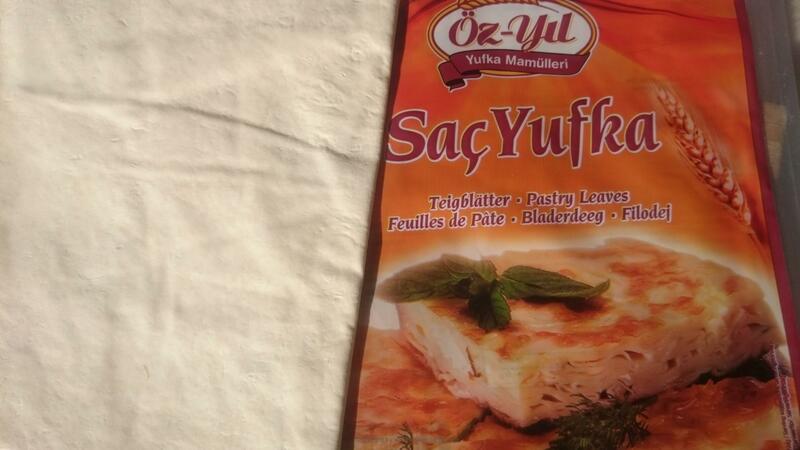 It is basically very fine, thin filo dough or Turkish yufka dough filled with ex. 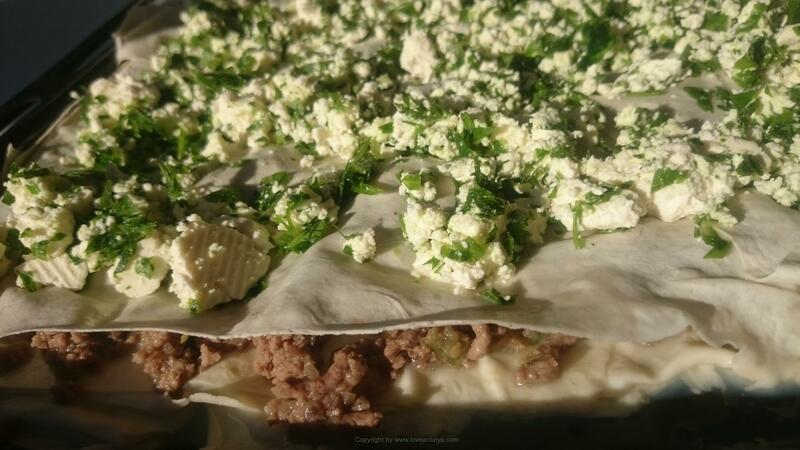 minced meat and onions, cheese and parsley. But in fact you can stuff it with nearly EVERYTHING. Börek is a bit like pie in England – filled with everything possible and can be eaten at any time of day, morning, noon and night. We’ve often used it for a quick lunch, for dinner together with a rich salad or for a picnic trip to the beach. In fact börek is a bit of a science in Turkey, since there are so many different kinds – I might write a story about that later. It’s super easy to make, so it’s just about to get started. My children were especially at the beginning very skeptical about Turkish food (and still can be), but this börek smoking always down. Heat a bit olive oil in a saucepan. Add the finely chopped onions and let them cook gently, without taking color. Mix the meat and fry until it turns brown. Season with salt and pepper. Make a mixture of 1 whole egg + 1 egg white (yolk saved for later) and mix it with milk and water in a small bowl. Crumble the cheese along with parsley and mix together in a second bowl. Preheat oven to 180º. Grease a small baking pan with 1 tbsp. olive oil and spread a yufka sheet (or 2 sheets of filo dough on top of each other) in the tray (let the excess dough hang over the sides of the tray). Spread about 3 tablespoons of the egg / milk / water mixture on the dough. Do the same again with a new piece of dough and brush again with the mixture. Distribute now the meat evenly over the dough. Add the last yufka sheet above and then the cheese / parsley mixture on top. 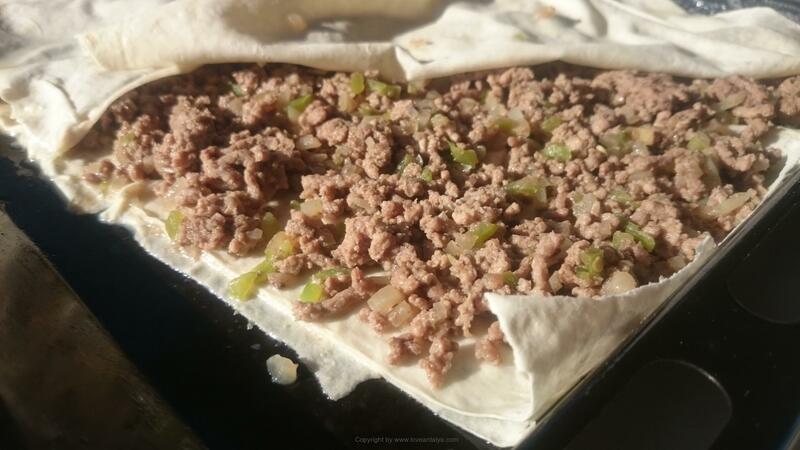 Fold that the excess sides over the filling to cover completely (if you’re using filo pastry, then add 2 sheets and brush with the liquid mixture. Then again add 2 sheets and brush again). Mix 2 tbsp. milk with the remaining egg yolk and remaining 1 tbsp. olive oil (if you have any of the milk / egg / water mixture left, you can add this mixture too). Spread the mixture out on the top and sprinkle with Nigella seeds. Put the pan in the preheated oven (180º) and bake for about 20- 25 minutes, until the top is golden. Take it out, when it’s finished, and cover it with wax paper for 10 minutes to keep it moist, while it just cools for 10 minutes. Cut into suitable squares and serve warm – possibly together with this tasteful bean salad. 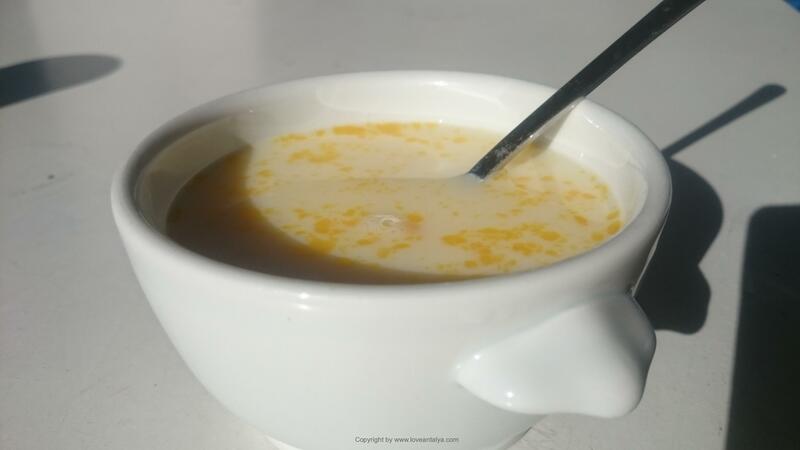 If you like to see this recipe in Danish, then look here / Find den danske opskrift her. « Simit – kan brød være eksotiske?